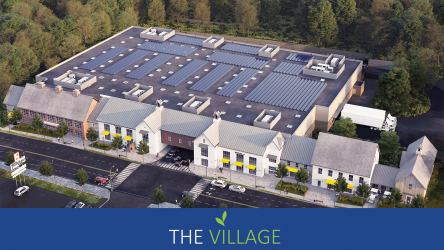 On Friday, May 12, 2017, an appeal was filed from the approval by the Norwalk Zoning Commission of the proposed massive development known as “The Village” at 272-280 Main Avenue. It includes a big box retail/discount store together with several smaller retail uses and restaurants. The appeal was filed on behalf of 68 Norwalk citizens who live or own property in the vicinity of the proposed development and were concerned about the negative impact of yet another huge retail center in Norwalk on their neighborhood, their quality of life, and on our community. The proposed development will generate a prodigious amount of new traffic on an already over-burdened Main Avenue. The result will be that even more traffic will be pushed to secondary and neighboring side streets in the area and will create unreasonable traffic patterns in part due to not allowing tractor trailer trucks making deliveries to the Village to take a left turn from the site in order to return to I-95 – and instead finding their ways back through our neighborhoods. Several traffic experts appeared before the Zoning Commission and testified that the development will cause unsafe road conditions in the area. Main Avenue was never designed to withstand and handle the current or proposed level of development. In fact, the Plan of Conservation and Development adopted by the City of Norwalk recommended against developments of this size in this area. In the immediate future, there are some 5,000 residential units slated for Glover Avenue, the planned reconstruction of the Route7/Merritt Parkway interchange, and a planned reconstruction of the end of the Super 7 Expressway . Why does Norwalk need another huge retail center when retailers and, in particular, small businesses in Norwalk are already struggling in the online shopping world we now all live in? We believe the time has come for the citizens of Norwalk to take a stand! We hope that you will join NASH in supporting this appeal and opposing irresponsible, inappropriate and massive overdevelopment in Norwalk in every way we can.